Home remedies to kill bed bugs are gaining in popularity with the widely-publicized ineffectiveness of traditional pesticides. Many of these pesticides are potent neurotoxins, which can cause people already suffering from respiratory ailments to become seriously ill after contact with their long-term residue. An ever-increasing campaign for widespread awareness of sustainable living practices has resulted in much less dangerous methods of pest control becoming far more common in today’s modern household. Pesticides are, quite literally, the only substances that we deliberately release into our homes, backyards, and food supplies, with the intention of killing other living things. As brilliant as many of their formulas are, it is impossible to create a “magic bullet” pesticide which completely lacks side effects in living organisms that aren’t its intended target (such as people). 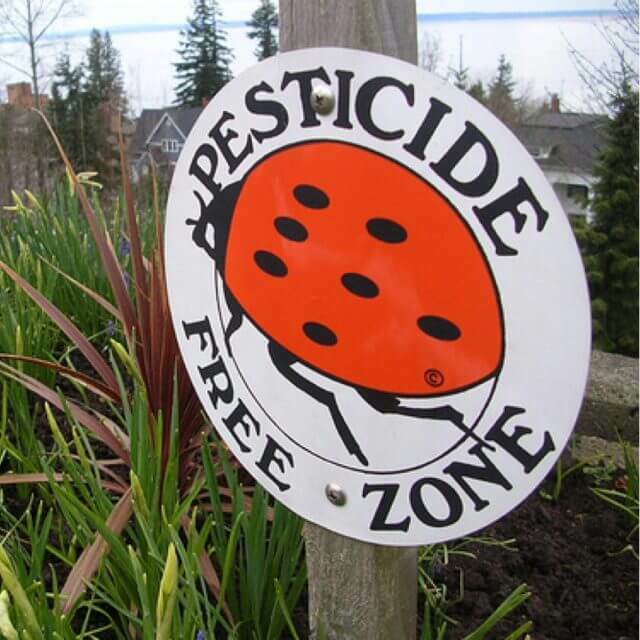 To compensate, people who are having their homes treated with pesticide will often be directed to vacate the premises for the duration of the treatment, as well as for a certain amount of time thereafter. Unfortunately, traces of pesticide which linger long after the return date can potentially cause severe health problems in those who are especially vulnerable. This includes family pets, newborns (and, to a lesser extent, all babies), the elderly, the infirm, and individuals with existing illnesses (such as respiratory conditions, or autoimmune disorders). Coupled with the fact that a dramatically more resilient bed bug population has reduced pesticide effectiveness to levels which are frequently surpassed by safe, all-natural alternatives, this information has many people looking to take the natural route to getting rid of bed bugs. Bed bugs have been around for as long as we have a written history. Some of the earliest “documents” present in museums around the world actually discuss pest control, as well as commercial transactions relating to its compensation. It wasn’t until the modern era that people discovered a range of chemical agents so toxic as to be successful at wiping out bed bugs wholesale, even through residual effect alone. This is ultimately what was responsible for the virtual elimination of bed bugs as a routine problem in most of America in the mid-twentieth century. Unfortunately, those few bed bugs which survived the application of neurotoxic chemicals were those with natural immunity to their effects. With time, and repeated application, plus the bed bugs’ tendency to travel with human hosts in their clothing and luggage, this led to a resurgence in bed bug populations within America’s major cities. Over the last decade, bed bugs in New York and Chicago have demonstrated wide-ranging immunity to common exterminator pesticides. Bed bugs in these locations were more likely to thrive, and thus more likely to spread. They are now becoming common in other major cities, as well as in rural parts of North America. Most common pesticides are neurotoxins. These are substances which attack the nervous system, a system which all vertebrate life depends upon to survive. The human body has natural defenses to protect its nervous systems, which is usually enough to keep it safe from short-term harm (such as a neurotoxic substance doled out in amounts meant to kill bugs the size of a pinhead). If a person’s defenses are compromised or are otherwise occupied, that’s a different story. Many neurotoxins have a cascading effect, meaning that—if the body’s defenses don’t take care of them—they can affect significant amounts of tissue relative to their volume. There are several safe, all-natural ways to deal with bed bugs which, provided a person is thorough and attentive and does their homework, have repeatedly proven to be extremely effective in naturally getting rid of bed bug infestations. Some of these are substances which were widely used to eliminate insect pests in ancient times, while the properties of others have only been discovered fairly recently. As you can see, bed bugs are extremely small, and hard to take out. Through these safe alternatives, you should get rid of bed bugs in no time! Bed bugs have been a plague on human society since ancient times, ever since they first evolved in the Middle East thousands of years ago. At that time, they were an offshoot of an existing, well-established species of parasitic insect which fed on bats. With bats and people often occupying the same caves, for the same reasons, those insects which developed the ability to feed on humans as well gained a distinct “survival of the fittest” advantage over their brethren. Humans migrate, which meant that—over time—these unwanted stowaways began feeding on human blood exclusively. A variety of tricks and tools have been employed by people throughout history in an effort to ward off bed bugs. Some of these are dubious in their effectiveness, and profoundly unsafe—such as the soaking of bedclothes in flammable petroleum products. Other methods are still used today, however. In a world where traditional pesticides are simply refining the highly adaptive bed bug into a more resistant parasite, holistic and other alternative therapies are gaining a considerable following: they’re affordable, effective, and—most importantly—safe to use around people, pets, and other large organisms. Essential oils are usually extracted from plants. They were used in ancient alchemy preparations for centuries, as early aspiring scientists tried to uncover the secret to eternal life. Over the years, their use in this fashion declined, but their pleasant and lingering scents continued to make them popular in the perfume industry. Later, alternative medical disciplines such as homoeopathy would resurrect their use. Essential oils have many die-hard advocates and vocal detractors to this day, but all of this ignores the fundamental truth about them: the scents that we enjoy so much are the results of chemical compounds which evolved over millions of years to target insects and other pests. Bed bugs do not feed on plants, but they share fundamental biological qualities with most insects. With the decline in effectiveness of other forms of bed bug treatment, many popular home remedies to get rid of bed bugs now take advantage of essential oils—and there is real science to back up their effects. One of the ways in which essential oils are most commonly put to use against bed bugs is through the use of sprays designed to get rid of bed bugs naturally and safely. It’s worth noting that even certain sprays which make use of modern pesticides often include essential oils as well; this is due to their proven effectiveness in treating bed bug infestations. There are also sprays which use a variety of essential oils as their primary ingredient. Like other pesticides, all-natural and otherwise, an essential oil spray must often be applied directly to a bed bug in order to kill it. However, there are studies published by Rutgers university which suggest that some of these sprays are up to 100% effective at killing bed bugs when this is done. The overall process can be painstaking, and it’s often time-consuming, with several successive applications often being required to ensure the complete elimination of a colony. However, this method offers several advantages over traditional pesticides and professional pest management services. Bio-pesticides and other all-natural remedies are affordable. Essential oils are not expensive; it’s even possible to mix up a homemade bed bug spray from the comfort of your own kitchen, with nothing that goes into the spray causing a problem for food exposure. This allows for the use of these sprays in large quantities, which leads directly to the next point on this list. All-natural essential oils are safe for human consumption. Many of these substances are extracted from plants which are commonly used as flavorings in food and modern medicine, the latter being particularly common in children’s medication. You can use as much of these sprays as you need to, without having to worry about toxic effects, and without worrying about relocating your family during its application. Essential oils lack many of the unpleasant qualities of toxic pesticides. A traditional pesticide lingers, creating an unpleasant (and usually poisonous) miasma. It’s effective at killing some pests, but its long-term residue isn’t all that spectacular for your small children or household pets. Pesticides also stain most surfaces, and smell terrible. Essential oils are pleasantly scented, and are not overpowering with their fragrance. Pesticides kill, but essential oils also repel. This isn’t an argument for bed bug rights; killing requires direct contact. Repulsion, on the other hand, can drive bed bugs out of an area. With traditional pesticides, this is undesirable: the colony will relocate to another part of your home, and you’ll have to start the process all over again. With all-natural sprays, you can spray throughout your home, and get rid of bed bug infestations as safely and naturally as possible. There is a long list of popular essential oils which are available for personal use, as well as being included in a wide variety of commercial sprays. These include the oils of cinnamon, lemongrass, peppermint, clove, tea tree, eucalyptus, thyme, and lavender. You can choose your preferred fragrances; all of these oils come from plants with highly-evolved defenses against insect pests. Diatomaceous earth, also known as “diatomite” or “D.E.,” is an extremely soft sedimentary rock. Like many forms of sedimentary rock, it consists primarily of fossils: fossilized phytoplankton, ancient single-celled plants and animals which still float in the oceans today. Diatomaceous earth can be found in what were once ancient sea beds, and can be readily crumpled into a fine powder. It is quite porous, and has been used for centuries as medicine by people all over the world. The ancient Egyptians, Assyrians and Babylonians used D.E. to combat insect pests, possibly include bed bugs, thousands of years ago. The way diatomite works is simple: you grind it up into a fine powder, then sprinkle it across the threshold (or around the legs of furniture) in an area where you wish to keep bed bugs and other diminutive pests at bay. This is widely believed to be the origin of the story about sprinkling salt in a protective circle to ward off evil, as salt was sometimes used by wealthy individuals to achieve the same ends. To the touch, diatomaceous earth feels slightly abrasive but is mostly a fine powder. For a creature like a bed bug—many thousands of times smaller than a person, with a body that’s thinner than our skin—D.E. presents an entirely different prospect. The material will pierce and shred the softer parts of their skin, and dry out their soft internal organs, particularly their proportionately large digestive system. D.E. affects bed bugs in much the same fashion as that in which a liberal sprinkling of salt will cause a slug to shrivel up. 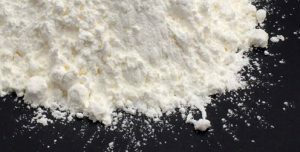 Diatomaceous earth can be used to stop bed bugs from crossing a doorway, or to prevent them from ascending up the legs of a bed, sofa, or other items of furniture in a location with a bed bug infestation. Bed bugs that try to cross a diatomite barrier will suffer the full effects of exposure to the material. Diatomaceous earth is an excellent basis for a natural remedy for bed bugs. It’s completely harmless; in fact, while its nutritional benefits are controversial, finely-ground food-grade D.E. exists which has been deemed safe for human consumption by the FDA. It’s completely non-toxic; were it not sharp enough at the microscopic level to pierce bed bugs’ bodies, it wouldn’t even harm them. Bed Bug Bully is a unique bed bug extermination product that’s safe and all-natural. It works very simply: its primary active ingredient is diatomite. It affects bed bugs in the same fashion as normal D.E. would. In addition to the diatomaceous earth, there are several essential oils included in the recipe. These include lavender, clove, and cedar oil among others. The oils add to the lethality of the D.E. and add a repellant quality which D.E. lacks by itself. The formula is bound together by food-grade binders, which are commonly employed by the food and drug industries to hold ingredients together as intended. Everything in Bed Bug Bully is safe, all-natural, and environmentally friendly. It is the only product on today’s market which combines diatomaceous earth with the bed bug-repelling power of potent essential oils. With Bed Bug Bully, you can naturally get rid of bed bugs more quickly and efficiently than by using any of its component ingredients on their own—all without posing a risk to small children and pets, the most frequent victims of pesticide poisoning in American homes today. Bed bugs are small – on average no larger than ¼ of an inch or 6 millimeters for the students of the metric system. However, what they lack in individual size they can more than make up for in group volume. The National Pest Management Association – a non-profit trade association founded in 1933 to represent the interests of the professional pest management industry in the United States – recently conducted a survey with the University of Kentucky and found that bed bugs exist in every United States State with 1 out of 5 Americans reporting experience an infestation in their home or knows someone who has encountered bed bugs in their office, hotel, or home. How Do Bed Bugs Survive? So how do these small parasites escape detection and destruction? Here are some of the traits and strengths of this little pest that help them in their mission of taking over your home or office. They are smarter than they look. They hide during the day and come out to bite their hosts at night. They are the ninjas of the bug world. When a bed bug bites their host, they inject an anaesthetic agent so that the host cannot feel the bite or the loss of blood. They are resistant to a range of temperatures. 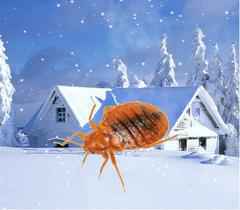 Bed bugs can survive freezing temperatures and over 120 degrees Fahrenheit (50 degrees Celsius). They are resistant to many pesticides. Although chemically strong pesticides such as DDT nearly eliminated bed bugs in the 1950s, the harmful effects of those pesticides were just as effective in humans and pets as they were in bed bugs! Therefore, it is advised that – when treating bed bugs in homes, especially homes with small children and pets – a naturally formulated pesticide be used as opposed to chemically based pesticides. See here for recommended natural ingredients based pesticides designed by Bed Bug Bully. Finally, they are fast at reproduction. Bed bugs can lay up to 5 eggs a day and over 500 eggs in the lifetime of a single bug. This means bed bugs enjoy a near exponential growth potential as soon as they find a mate in your home. Do not fret; there are steps you can take to not only eliminate this pesky little pest from forming an infestation in your home but also prevent them from coming back in the future. Take a deep breath, remain calm, and then take immediate action. While early identification of bed bugs is key; once you find traces of their existence in your bed/home or bite marks on your skin, take immediate but effective steps to eliminate potential harm from bites and a potential in your home. Wash your clothes and linens in the highest temperature setting. Bed bugs enjoy moist and warm environments that are near the temperature of the human body. You must first ensure that places where you tend to sleep and rest are free from them before making more thorough inspections to identify and eliminate bed bugs. In order to be thorough, check both your mattress as well as box spring to ensure that bugs have not penetrated the exteriors and are hiding inside. Inspect your room including recently used travel materials. Bed bugs normally enter a home or office place on commonly used travel items such as luggage, backpacks, coats, or even shoes. Ensure that whichever method the bed bugs used to travel inside your home is free from any pest presence. Eliminate or evacuate the bugs. Now that you have removed the bed bugs you have spotted and cleaned the potential hiding and resting places around the house, consider performing another thorough walkthrough with a friend to ensure that there are no stragglers behind. They are tricky creatures with a penchant for finding hiding places in any crevice or gap within a house or office. Call the professionals. If you notice signs of bed bug bites on your skin or bugs in any area of your home following these steps. At this point, you want to either call a professional pest management service or purchase a DIY kit such as Bed Bug Bully to take firmer actions against your uninvited houseguests. 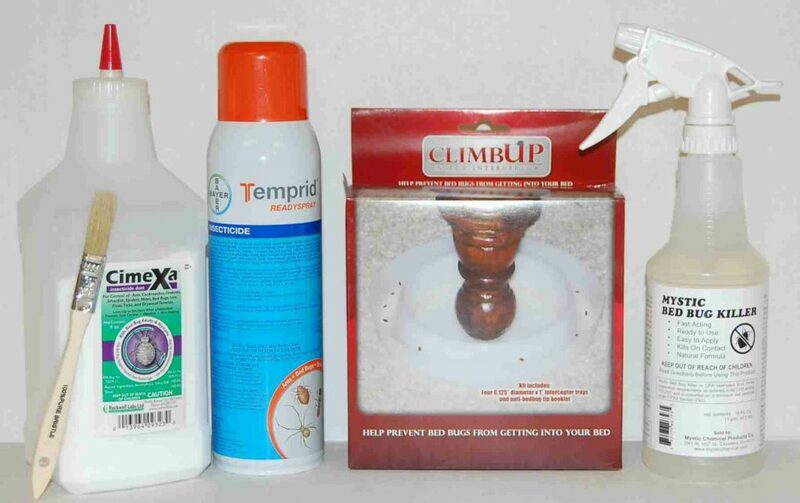 Choose the Best Bed Bug Products and Treatments with Our Helpful Guide! Bed bugs are nature’s reminder that one must always remain vigilant and aware of one’s surroundings. These little creepy-crawlies love to hide in the nooks, crannies, and crevices of old mattresses, sofa cushions, and linens. They can lurk in clothing, such as that which has been packed away in luggage, as they have the ability to survive for months without feeding. Their natural skill at finding concealment is a big part of why finding the right bed bug products can be a challenge: even wooden furniture which has begun to separate at the joints may hide enough of these unwanted intruders to start a colony. A bed bug which hasn’t recently fed may be thinner than the width of a credit card. They’ve been known to hide in the slots of screws and within electronics. Their nighttime predation is irksome enough that colonial-era Americans tried forms of bed bug treatment which they knew to be flammable, and in some cases toxic. 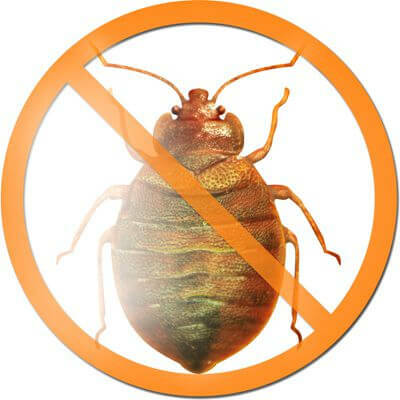 The treatments themselves often smelled horrible, but were still widely considered preferable to bed bug infestation. Fortunately, modern-day bed bug treatment options are far more effective, while being a great deal less dangerous to the people applying them. Bed bugs have been a plague on mankind’s shoulders (as well as other body parts) for thousands of years; the oldest written accounts of their existence are more than five hundred years old. They have their origins in the Middle East, in a species of insect which preys on bats. Bats live in caves, and at that time we often did as well: with their natural climate control, their strategic defensibility, and their shelter from the elements, caves were a natural choice of places to spend the night. A primitive bat-biting bed bug which could also tolerate human blood would have an even more ample food supply, and as the trait was passed down through generations of bugs, migratory humans unwittingly spread them far and wide. Later, they would stow away on board ships and trading caravans. They made it to the New World with the first European explorers but were recorded by every classical civilization from Egypt to Rome before that. These ancient peoples also had a variety of bed bug treatments, some of which were either too ineffective or too dangerous to consider using today. Others, however, seem to have had some level of effect. Bed bugs came to eastern Europe via the Middle East and were a presence from Greece in the south to what is now Russia and the Nordic countries by the time they made further progress westward. One early folk remedy, common throughout eastern Europe, was the spreading of bean leaves on the floor of an area known to harbor an infestation. The bean leaves have tiny barbed hooks on their inner surfaces, which trap and imprison the bed bugs, making it difficult for them to move. Upon waking up in the morning, people would find their scattered leaves covered with bed bugs. The entire mess would then be collected and burned, in quantities which could amount to several pounds of bug and leaf altogether. Trapping bed bugs is one thing, but another historical bed bug treatment has proven to be far more enduring. This is the use of diatomaceous earth, a fossilized substance ground into a fine powder, to actually kill the blood-sucking insects, as well as providing an impassable barrier. It is widely believed that the tradition of sprinkling salt across a doorway to ward off evil influences has its origins in the ability of the diatomaceous earth to deal with pests, particularly bed bugs. Diatomaceous earth is a soft form of sedimentary rock, which has been ground into a fine powder and used medicinally for thousands of years. While its benefits as a medicine or a food additive are debatable, its use as a form of bed bug treatment seems to have some basis in actual fact. Diatomaceous earth can be sprinkled onto the floor, along with a doorway between rooms, around bed posts, and around the legs of other furnishings. It will impede the ability of bed bugs which try to move across it and kill those that are hungry enough to make the effort. We know that diatomaceous earth (also called D.E. or “diatomite”) was used by several ancient societies as the go-to-bed bug product of the day, but its function is grounded in a principle which modern scientists are now beginning to reexamine. They hope to be able to produce artificial products which emulate D.E.’s natural function. Bed bugs are notoriously bad at moving around. They’re built for hiding, and cannot run at high speed for any considerable distance. They’re bad at walking and climbing, and they aren’t built for jumping; they’re also flightless. Stealth and numbers are the only things on the bed bugs’ side. Diatomaceous earth is composed primarily of fossils—the mineralized remains of ancient, microscopic sea creatures, a mixture of single-celled plants and animals called phytoplankton. To human fingertips, finely ground D.E. feels powdery and mildly abrasive. That abrasiveness is actually caused by the sharp, irregular shape of its individual grains. To a creature whose entire body is thinner than human skin, D.E. is deadly. It pierces the outer shell of a bed bug, and draws out its moisture, causing its soft digestive organs to shrivel up—in much the same way as sprinkling salt on a slug will affect its entire body. Exposure to finely ground diatomaceous earth will kill a bed bug in fewer than fifteen minutes. Today’s bed bug products cover a variety of substances and tactics, which are combined to effectively destroy these diminutive parasites in between feeding times. Killing bed bugs is the goal: repelled, they will simply wait out your efforts. Under laboratory conditions, bed bugs have been known to survive for up to a year without eating; it is extremely unlikely that any effort to simply ward them off would remain completely effective for that long a period of time. Monitoring devices are simple, cup-like objects created in a particular shape. Like the eastern Europeans’ bean leaves, they allow bed bugs to climb up their outside edge, whereupon they become stuck in an interior space. These objects are built to be placed under the legs of furniture, and are designed for two purposes: first, they help to reduce bites, by making it extremely difficult for the clumsy bugs to climb up to where a sleeping individual is resting. Second, they are a foolproof means of confirming a bedbug infestation, as well as gauging the relative intensity. Come morning, a bed bug monitoring device can be sprayed with a bed bug spray, then cleaned out, before being replaced. The use of bed bug monitoring devices is not a stand-alone treatment and is somewhat labor-intensive. They aren’t a long-term solution and are best employed while other treatments are taking effect. Sprays are a common means by which homeowners deal with insect pests of every kind. There are sprays which have been developed to target bed bugs specifically, as well as sprays which include them in a targeted list of harmful household pests. While most of these are effective to varying degrees, bed bugs are notoriously resilient to over-the-counter pesticides, and even a handful of surviving bed bugs can regrow a population within a surprisingly short time frame. Bed bugs are also extremely resilient: in order for a spray to be effective, it is often necessary to apply it directly to the bugs themselves. In order to assure maximum effect, and to make certain that a bed bug infestation doesn’t simply regrow from its remaining individuals, a spray should be more than 90% effective at killing nymphs (young bed bugs) within the first two weeks of regular application. Regular application is necessary: most modern household insecticides won’t kill bed bug eggs, and the survivors of an initial spray may simply find new places to hide before venturing forth again. More often than not, two to five separate periods of treatment will be necessary, if you are relying on sprays, depending upon the size of an infestation. This is because bed bugs are known to feed in “shifts” over long periods of time. An individual bed bug can survive without feeding for months, even outside of laboratory conditions: thus, the entirety of a given population is never exposed to danger at the same time. There are a variety of natural bed bug treatments available which take advantage of organic, all-natural components, in keeping with recent trends toward sustainability and green living. Some of these products are sprays, which incorporate natural plant-based ingredients—primarily essential oils. Essential oils have been widely touted by advocates of alternative medicine for their healthy, curative properties while remaining highly controversial otherwise. Most scientific studies suggest that essential oils don’t actually do anything to improve human health, apart from reducing stress and promoting relaxation in individuals who enjoy their scents. These same scents are a part of what makes them so effective against bed bugs, with some of the most effective sprays available being based on essential oils: substances which evolved, not to cure disease in human beings, but to protect plants from harmful pests. Sprays which include cinnamon oil or clove oil are widely touted as being among the best bets for confronting a bed bug infestation. Lemongrass, peppermint, and lavender are also widely used in organic bed bug products. Each of these oils has varying effects: some are directly toxic to the bugs, while others are among the few effective repellants available, capable of driving bed bugs away entirely. Because these sprays are pleasantly scented and non-toxic, they can be used throughout a home where an infestation exists, reducing the probability that the bugs will simply move to another part of the house. 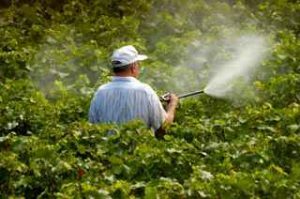 Please note that, like their traditional pesticide counterparts, these sprays may still require a long period of time to take effect, and may need several applications. Their lethal qualities are still likely to require direct application to the bugs themselves, and will at the very least require routine sprays of the specific locations where they are hiding. Bed Bug Bully represents another form of organic bed bug treatment, one that is presently unique on today’s market. Unlike a bed bug spray, Bed Bug Bully incorporates the effective bug-shriveling power of diatomaceous earth, in a formula which also combines some of the most effective essential oils and other, all-natural ingredients. Bed Bug Bully’s unique advantage lies in its ability to make an area of your home impassable to bed bugs. It doesn’t rely on direct application; bed bugs will be affected by coming into contact with the substance itself. The additional ingredients included in the Bed Bug Bully formula make it actively repulsive to the insects, whereas pure D.E. is a passive barrier—keeping bed bugs out of a particular area, but not forcing them to vacate the premises. Bed Bug Bully is most effective when used in doorways, and around the legs of furniture. Being totally honest, it is always advisable to go with professional pest management when confronting a bed bug infestation. A pest control professional knows the habits and preferences of bed bugs and is able to identify likely hiding spots, including locations that most homeowners wouldn’t consider. Their pesticides are some of the most effective substances in existence, versus an increasingly resilient bed bug population. However, the price of hiring professionals is often prohibitive for many people. The cost of several recurring treatments can easily rise into the thousands of dollars—and multiple treatments are usually necessary. The unfortunate fact is that no matter what type of pesticide is used, direct contact with the bugs themselves is typically required. Additionally, the substances used by pest control professionals are rarely organic; they’re often highly toxic, requiring that the residents of a home have someplace to go while their residence is being treated. Subsequently, individuals with allergies or respiratory problems may have difficulty returning home for a period of time, and there may be issues with the health of pets and young children as a result of the toxic substances used. Try Bed Bug Bully and we think you will be pleasantly surprised with the results.